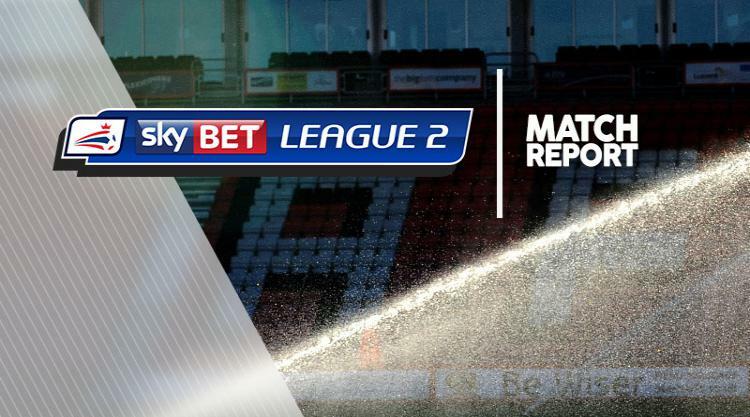 Blackpool kept up their hopes of a play-off spot in Sky Bet League Two with a 1-0 win over Hartlepool in a scrappy encounter. Pools did start the game well and had plenty of first-half possession but finding a way through the defence to trouble Blackpool goalkeeper Sam Slocombe was a different matter. Lewis Hawkins played in Lewis Alessandra but when he got into the area he checked back onto his right foot and his shot was blocked. The Tangerines' best effort came when Mark Cullen's shot was firmly blocked by Liam Donnelly. Pools keeper Trevor Carson saved brilliantly on 47 minutes when a swift break saw Brad Potts cross for Kyle Vassell, who picked his spot with a firm header only for Carson to keep it out. The home side almost took the lead on 61 minutes as Rhys Oates crossed and Alessandra's first-time shot fizzed low past the post. But the Tangerines opened the scoring on 64 minutes when a counter-attack saw the ball played over the top for Cullen to confidently net. Pools should have levelled on 84 minutes after they were awarded a penalty following Tom Aldred's handball. Alessandra, however, ballooned the ball high over the bar from 12 yards.